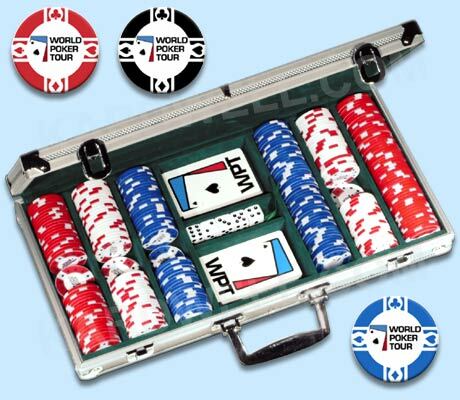 This World Poker Tour Set is an exact replica of the one given to celebrity contestants of the highly rated Season One Hollywood Home Game Tournament in 2003. Each celebrity champion wins a $25,000 buy-in to the World Poker Tour Championship, to play with the sport's best. Stars who participated in the WPT Tournament included Ben Affleck, Jack Black, Drew Carey and many others. These sets won't last -- Reserve your WPT set today! Sale Price: $43.44. Was $99.00. Save 56%!